DinkNeSmith.com: Who was behind state’s engineering-education expansion? Who was behind state’s engineering-education expansion? During the Great Depression, I understand, UGA gave up its broad-based engineering curriculum. Georgia Tech filled the gap. Today, Tech is a world leader in engineering education. But in 2010, a Georgia Tech engineer drove all over Georgia, asking questions. He decided his alma mater wasn’t able to serve all the state’s engineering needs. Too many students were leaving home to get their engineering degrees from Clemson, Auburn, Tennessee and Florida. As chairman of the University System Board of Regents, Willis Potts wanted to change that. The retired paper mill executive stands about 6-foot four, and has the physique of a Yellow Jacket tight end. Willis is tough—mentally and physically. Both attributes came in handy in the ensuing academic tussle. Some thought the engineering expansion was rooted in the “Clean Old-Fashioned Hate” gridiron rivalry. The issue did become a political football, but it had nothing to do with pigskin. looking for a helmet. The blocking, tackling and head-butting did not stop until the final vote of the 18-member board. I was determined to study the data and base my convictions on what was best for all 10 million Georgians. For decades, I had been listening to the engineering debate, ever since Allen Paulson bought Grumman American. Savannah’s airplane manufacturer wanted more engineers available, starting with adding engineering to Georgia Southern’s (GSU) degree offerings. Allen Paulson had been dead for 10 years by the time the engineering proposal for UGA and GSU came to a vote. And when that day arrived, I was standing in the middle of the board’s horseshoe seating arrangement. Passion overheated the debate. Like a poker player counting cards—as the secretary called roll—I tallied votes in my head. Earlier, I learned the committee chairman could only vote to make or break a tie. When the other 16 Regents present had cast their ballots, the vote was knotted, 8-8. Without hesitation, I said, “Yes!” Thirty days later when Regent Jim Bishop’s term was up, he would not be reappointed because he voted “yes,” too. I believe decision-making is much like architecture. When you build a structure or make a bold decision, you want to be able to look back—25 years later—and reaffirm: “We did the right thing.” Fortunately, we don’t have to wait that long. The headline “UGA engineering enrollment doubles” says enough. Add to that what GSU’s president, Dr. Brooks Keel, told me. Statesboro’s engineering enrollment is up from 1400 last year to 1700 in 2014. Now, GSU has added much-needed Manufacturing Engineering, too. There’s a saying: “There’s no limit to what can be accomplished when it doesn’t matter who gets the credit.” The top of Willis Pott’s bald head would would blush crimson if you tried to give him the credit. 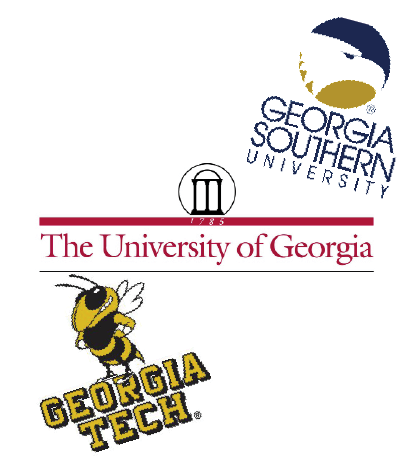 But UGA and GSU cannot ignore who is responsible for their new-found engineering success. The backstory—for history’s sake—needs to record Willis Potts had the vision and the guts to inspire the necessary nine votes for our state’s future.